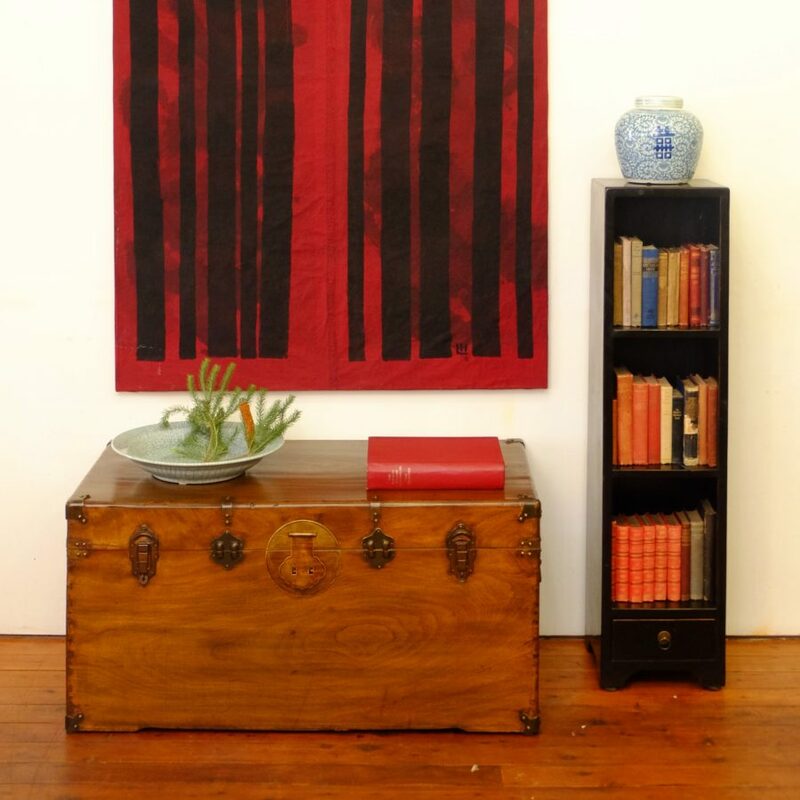 #15039 This cheerful brightly painted Tibetan willow chest dates from the early 1900s. It is guaranteed to light up any room. 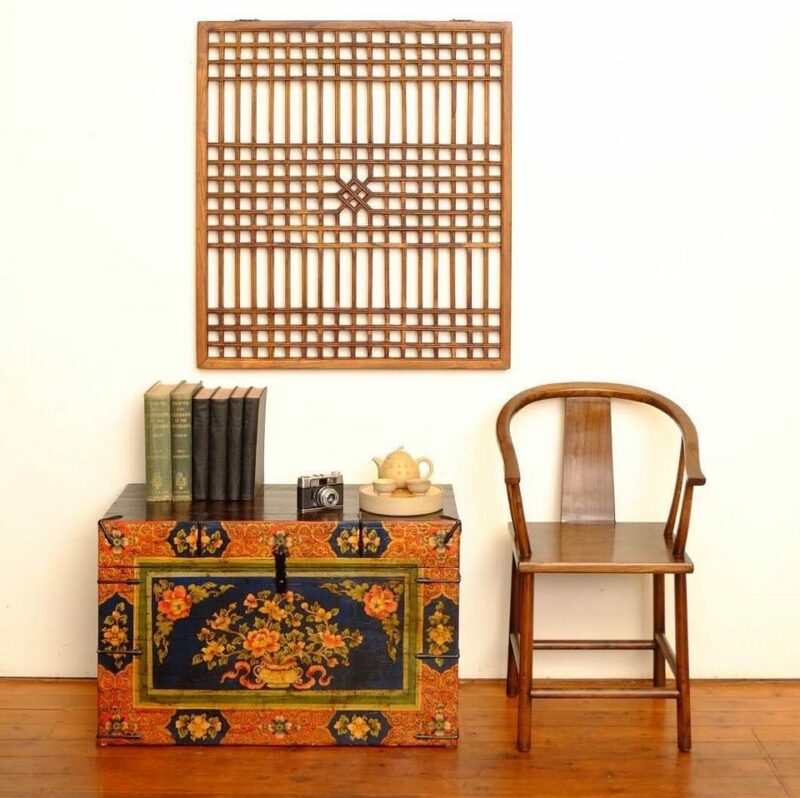 Ideal for storage – great in a kids room – or use it as a coffee or side table. It measures 92 cm wide by 45 cm deep and 58 cm high. 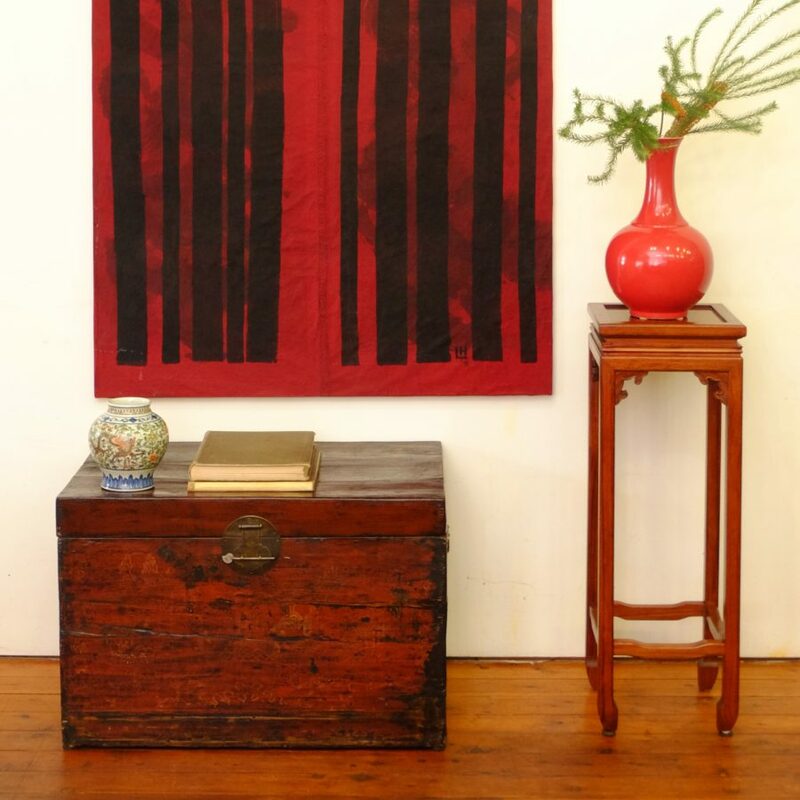 #15040 This large antique camphor chest from the early 1900s comes from Hunan province. With no less than five locks it would be an ideal place to keep your treasures and would also be a good talking point as a coffee table. 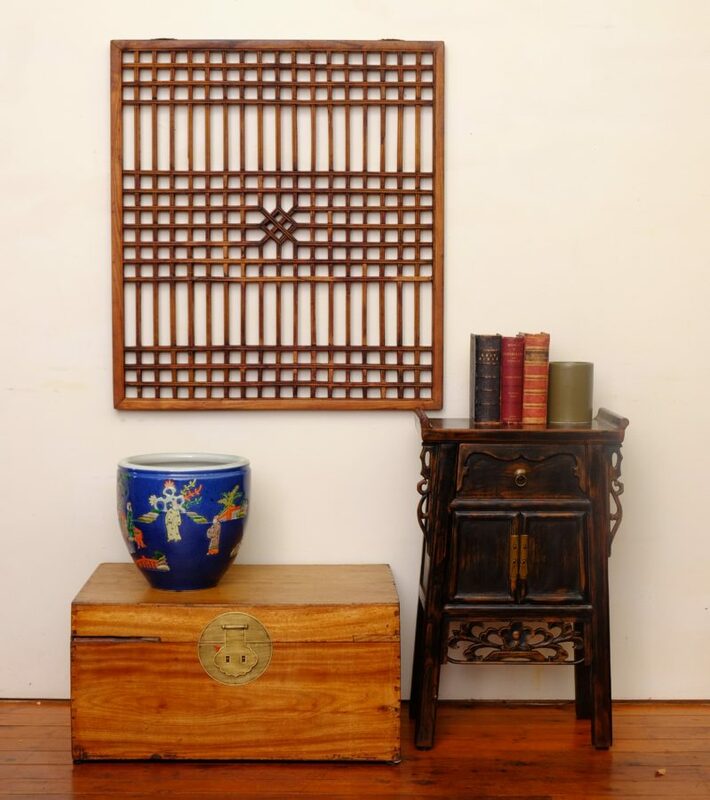 It measures 106 cm wide by 58 cm deep and 53 cm high. 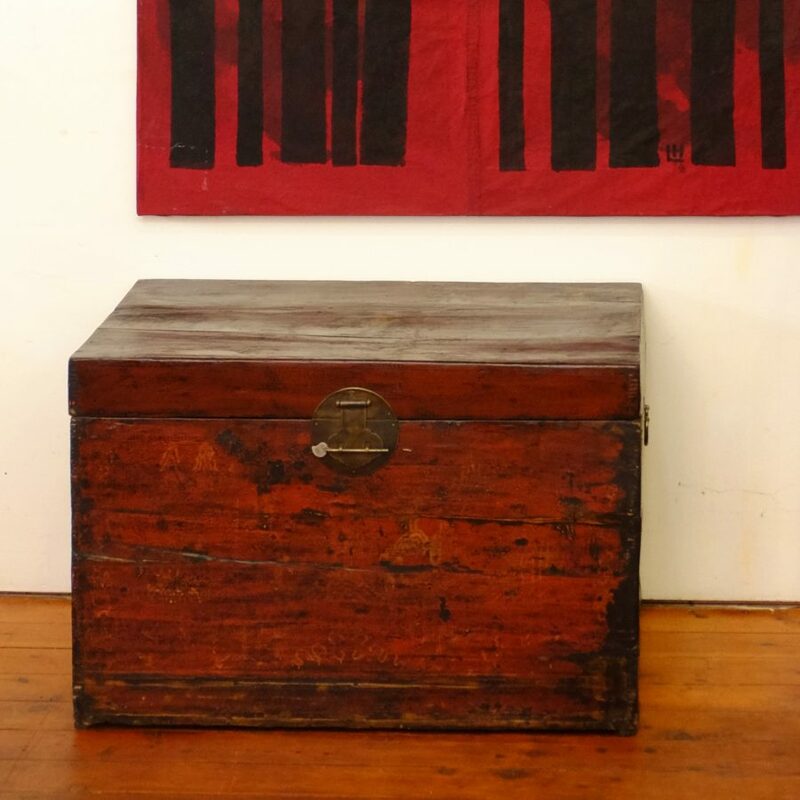 #16041 An antique elm chest dating from the late 1800s. 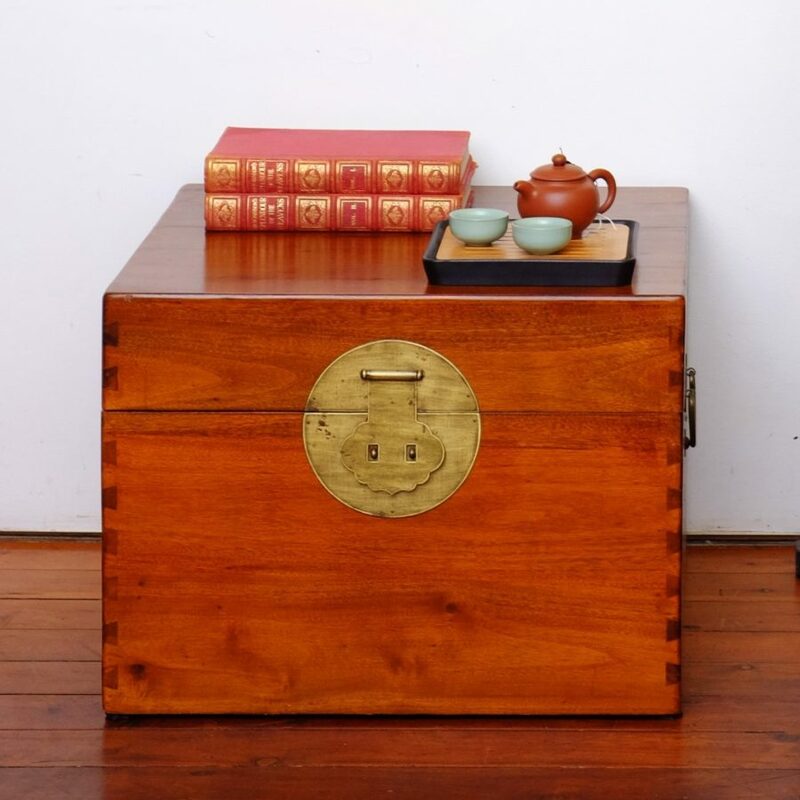 #15057 The inside and outside of this 1940s chest from Hunan are made from camphor wood – sure to keep the moths at bay. 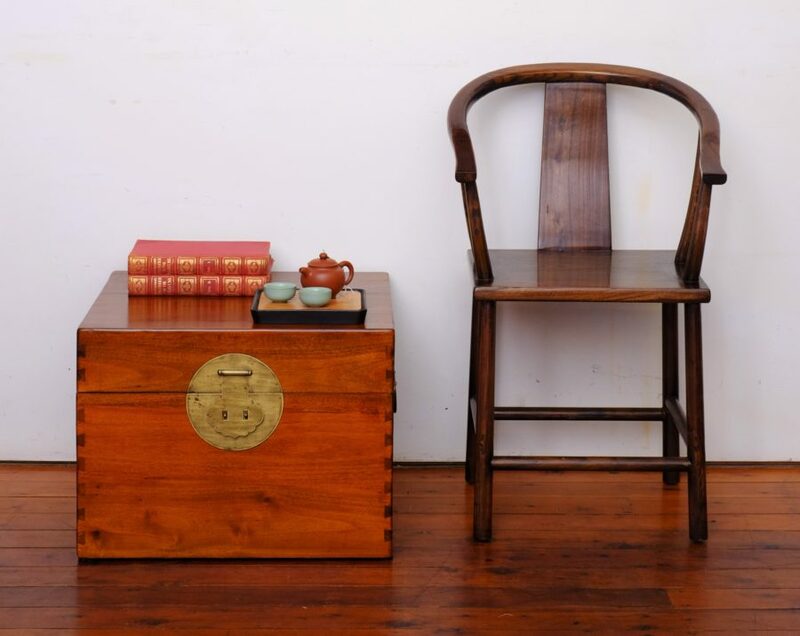 It measures 79 cm wide by 51cm deep and 40 cm high. #15054 Both the carcase and the lining of this small chest are hand made from recycled old camphor wood. It measures 58 cm by 58 cm by 43 cm high. #15054 A close up view.